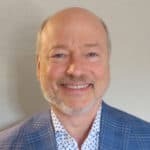 Dr. John Hagelin is a Harvard-trained quantum physicist, life-long educator and inventor and leading researcher on higher states of consciousness. He is the recipient of the prestigious Kilby award in physics, and is renowned for developing a highly successful grand unified field theory based on the Superstring. He is currently President, Maharishi University of Management and the Director of Maharishi University of Management’s Institute of Science, Technology and Public Policy. A physicist by training, Hagelin was a researcher at the European Organization for Nuclear Research (CERN) and the Stanford Linear Accelerator Center (SLAC) in the early 1980s. Hagelin stood as a candidate for President of the United States for the Natural Law Party. H Dr. Hagelin has been published extensively in the area of supersymmetric unified quantum field. He has appeared many times on news shows such as ABC’s Nightline, NBC’s Meet the Press and in major metropolitan newspapers including the Wall Street Journal, and the New York Times. He is International Director of the Global Union of Scientists for Peace. Emotions are generally more joyful. A lot of the negative emotions of anxiety and depression are stress driven, so if you have a powerful stress buster, and meditation generally is meant to be a stressful. Remember, mindfulness based stress reduction is meant to be a stress buster. The very, very deep rest that comes with tm is an even more powerful stress buster. That completely changes the complexion of one's emotions. So also because meditation takes your awareness deep to very fine, fine levels of feeling one's emotions, tend to get more deeply appreciated. They become richer. You start to feel more like a fine artist who has a very deep kind of feeling for things. I didn't have that kind of refinement growing up. So that's a nice side effect of meditation. That's very interesting. In the TM technique, you don't really worry about your breath. You just follow the mind as it flows into this state of deep silence and inner unboundedness and your breath goes with it in the sense that as the mind gets deeply rested and settled, the breath gets deeply rested and settled. In the meditative state, the deepest points of meditation, I'd swear I wasn't breathing. Now, if you really pay attention to it, you'll notice that there is a puff of breath coming up the nose and a just a puff of breath coming out, but it doesn't even really get past your head and you're living on that. The requirement for oxygen goes way down. When the body is deeply rested and the cells inside the body aren't burning as much oxygen, aren't burning as much fuel. So a very deep state of rest will soften the breath and my breath is soft even an activity as a consequence of that regular practice. I don't think I've been myself participating in bullying activity. I tend to always stand up for the underdog, whoever might be getting bullied to within the limits of my own strength and of course as a younger person, I was as vulnerable as anybody and I didn't have as much strength as I would've wanted to stand up more forcefully for people who were being misused. But as a physicist who is willing to talk about consciousness and is dedicated to researching consciousness, that makes me a little bit of an outlier in the physics community because physical scientists don't talk about consciousness. It's like, real men don't do ballet because for a physicist, we study the physical world, we're meat and potatoes people. If we can see it, we can touch it, we can taste it, it's real. This consciousness stuff, what is that, the tooth fairy, Santa Claus? It's a crazy point of view because physicists have consciousness. They should recognize that they are conscious and since consciousness doesn't exist within their physical equations, they tend to dismiss it as something that's not real. Actually, if they take their study of physics more deeply, they will discover that consciousness does fit into their physical equations. That is the very source of physics and every discipline for that matter, but be that as it may, having been a bit of an outlier, willing to talk about conscience, that there are plenty of physicists who have dismissed me. In fact, when I went from Stanford University Faculty to Maharishi University Faculty in 1983, people wrote me off. They thought that was kind of obviously going to be the end of me. It wasn't. I mean that was really the start of my fruitful research in physics and I had developed a doctoral program and got a national science foundation grant to do research in unified field theory. So my physics was fine, but even then, even though my physics was demonstrably better than it had been. I still, I think I probably was considered to be odd because I was into consciousness, into meditation and so forth. So definitely you can tell when you're at a social event or conference involving other physicists, you know, physicists can take an attitude towards you and they certainly did to me. I certainly felt that at times patronizing and so forth. So if you took that stuff seriously and it was certainly tempting for me at times, you know, to react to it, you know, to, to push back in a way that might not be productive, you know, get into an argument or toss an insult back to the other person. But, by about that time in my life, you know, I had been meditating for quite some years and I didn't find myself overthrown by it. I found the whole thing actually a little humorous. I was able to just smile quietly as all this was going on because it was going on. I know it was going on. I wasn't always invited to give the keynote speeches at conferences. Even if I did the keynote research behind it, you know, just a little bit of a second class treatment. It was as though I were an African American in the deep South 40 years ago. You just don't get the same treatment. I mean, you know, it just wasn't the nature of the culture at the time. And I felt a little bit like that. Anyway, yes, being grounded in yourself is really so key. It's really important to be in the driver's seat in the sense that you're not reactive because if you're reactive, if you're defensive, it's hard to know what you're going to say, but it's probably not going to serve you. Right? So being grounded in yourself, your big self, your inner silence, unshakably so. And that's something that's developed over years and years. That's a great antidote to overreacting and from ever getting thrown off of your feet. 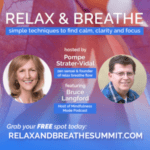 Join me, Bruce Langford, on the Relax and Breathe Summit. 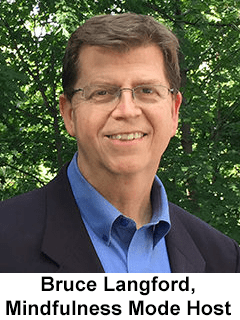 This free Summit, hosted by Pompe Strater-Vidal, features 22 guests who will offer you simple techniques to find calm, clarity, and focus.